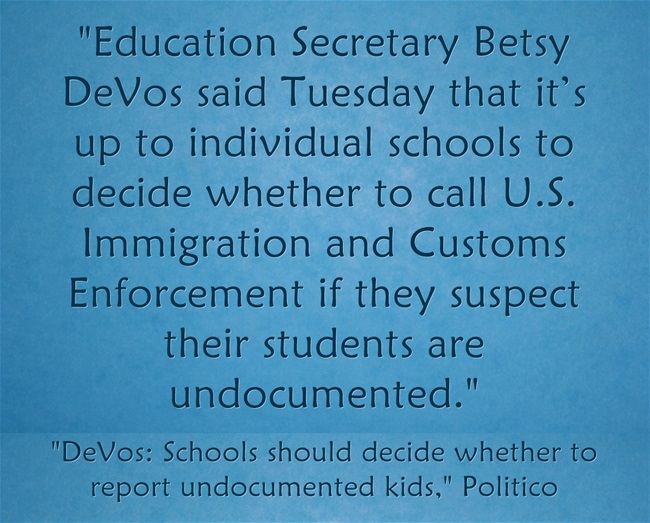 U.S. Education Secretary DeVos certainly did not make many families feel safer today when she said it’s up to schools to decide if they should identify undocumented students to federal immigration authorities (see DeVos: Schools should decide whether to report undocumented kids from Politico). The ACLU quickly made it clear that doing so would be unconstitutional. 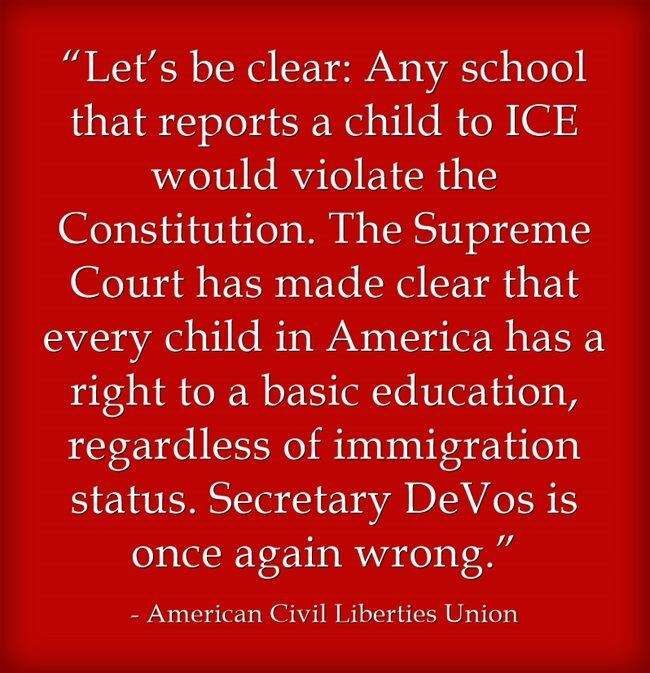 Learn more about why this action would be unconstitutional at Public Education for Immigrant Students: Understanding Plyler v. Doe.